﻿ RollerDerby Lighted Laces at Skates Pro Shop - Discount roller skate shop! Skates Pro Shop - Discount roller skate shop! New Light Up Laces!!! 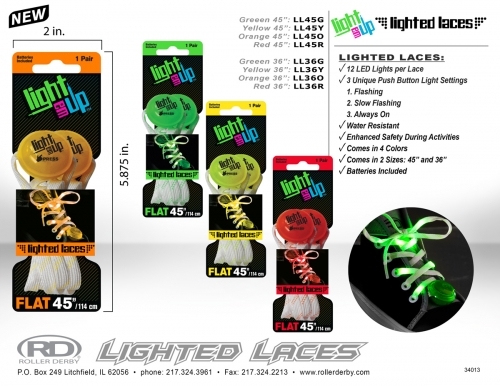 Stand out of the crowd with these LED powered laces in 4 different colors!!! !